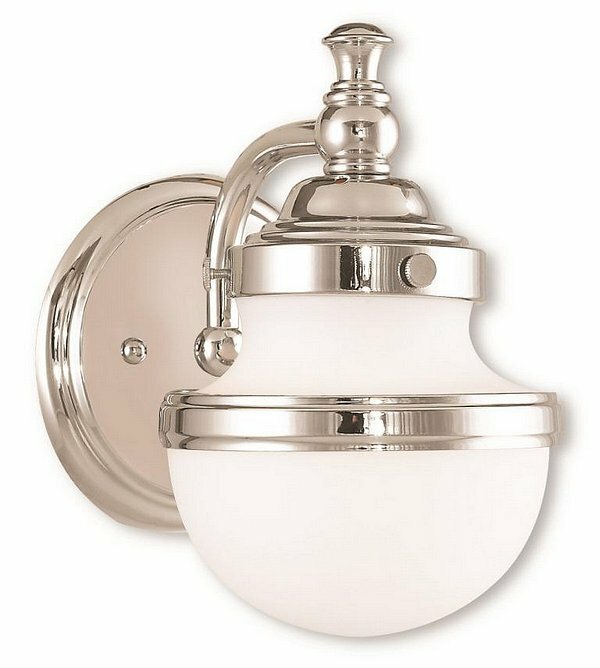 Livex 5711-05 - Sleek and simple lines define this beautiful polished chrome bath fixture. The clean, bold look of modernity blends with a raw industrial inspiration and hand blown white opal glass give this design a versatile and eclectic look that works with nearly any style of home decor. Dimensions: 5.5" W x 8.25" H x 7.25" Ext.